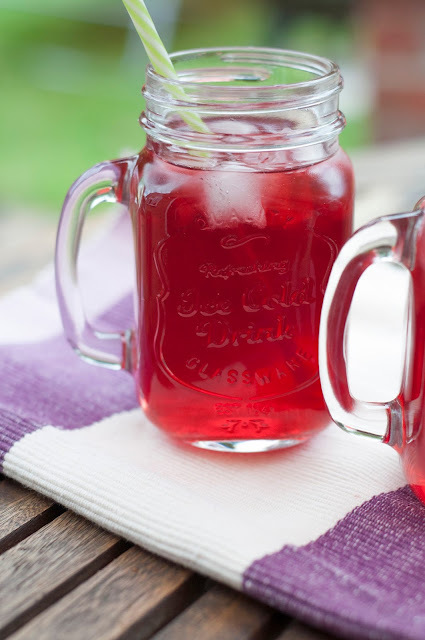 Yeah, yeah, I know Iced tea isn't exactly the first thing that comes to mind when the UK has had day after day of cold rain.. But don't despair, there's a bank holiday weekend coming up with a chance of sun! If you're having a posh picnic or having a summer party, then don't be without your on-trend drink jars and Iced Tea. 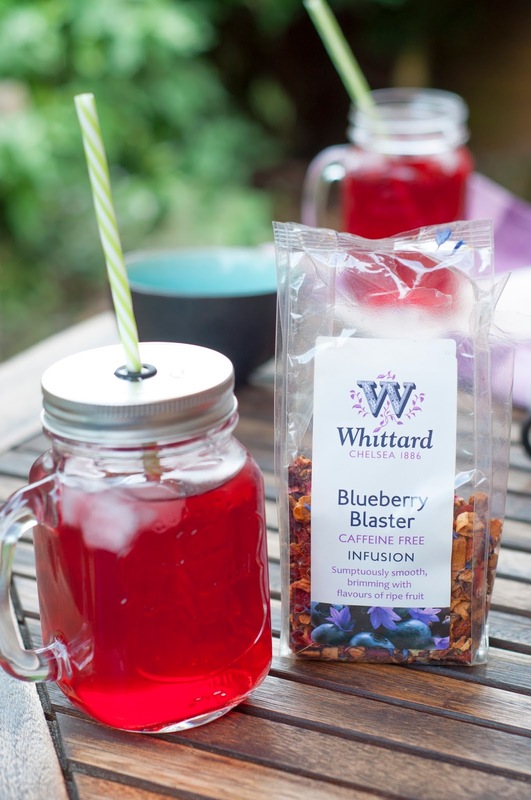 Here i've used Whittard of Chelsea's Blueberry Blaster caffeine-free Infusion, which was a gift but can be bought online or from the shop for £4.00. 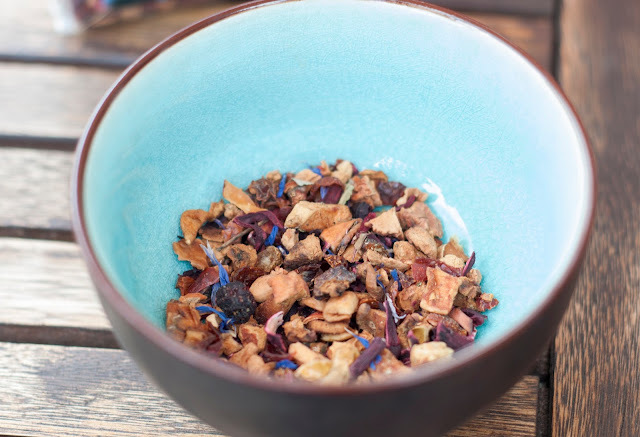 I made the infusion as usual but then added it to a pyrex bowl and put it in the fridge for a day. All I needed to add was some sugar for taste. I didn't add a splash of vodka to mine this time, but I think it could work as a fun cocktail! Samovar Tea Lounge - San Fran!